Panini Vision Next Check Scanner VN100-3A-SI-4J-ID-PG - New Phoenix Inc. The Panini Vision Next Check Scanner VN100-3A-SI-4J-ID-PG processes 160 docs per minute. The Vision neXt establishes a new performance benchmark for teller, branch and commercial check capture. Panini Vision neXt is the new performance benchmark for distributed capture. The Panini Vision neXt™ provides unparalleled levels of productivity, functionality and ROI. By minimizing the effect of the most common variables in check capture — environment, operator, and document quality — the Panini Vision neXt delivers! Extended capabilities to digitize a wide range of deposit and payment related documents for maximum investment protection. 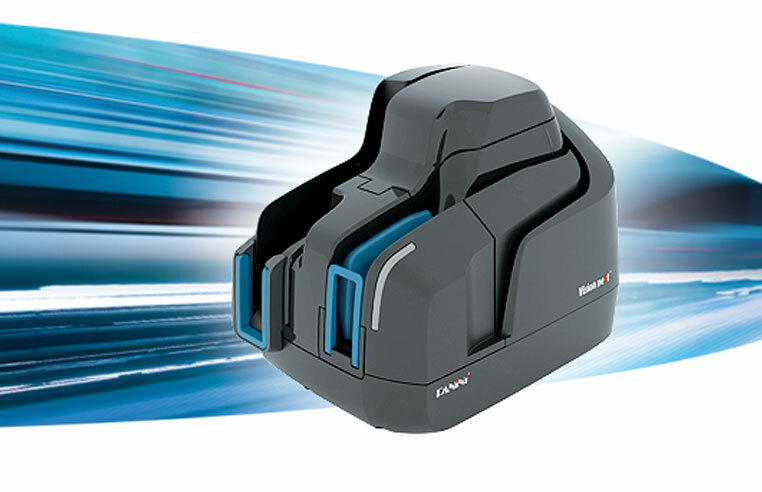 The Vision neXt features breakthrough innovation and versatile capabilities, such as its unique automatic document alignment system, ID card scanning functionality, exception pocket for real-time sorting and a multi-function 14 line endorsement printer, positioning itself as an enabler of branch transformation and improved customer service and retention. Leveraging the world’s largest installed base and most trusted brand in distributed capture, the Vision neXt provides outstanding total cost of ownership and demonstrable savings, backed by Panini’s world-class service and support capabilities. 100 documents per minute (dpm) throughput based on 6” check specification. Expandable with multi-function options: inset 3-port USB hub, thermal receipt printer (stackable of free positioning) – providing further compelling benefits for teller applications.